It has been a while since I’ve read a book by K.A. Linde, and I nearly forgot how much I loved her stories and writing style. This was the first time I had a read a book by her that was written in first person, and I thought she did a great job with The Wright Brother. Jensen and Emery were wonderful characters, and I really enjoyed reading their story. Their personalities were great and I liked them both very much. Emery was a strong character and I really liked that she wasn’t afraid to stand up and speak her mind about anything. I also really enjoyed the close relationship she had with her friends and family. I loved the sizzling chemistry Jensen and Emery had with each other, and I liked how their relationship progressed throughout. I loved reading the book from Jensen and Emery’s POV, and I was glad the author chose to write the story from both of their perspectives. 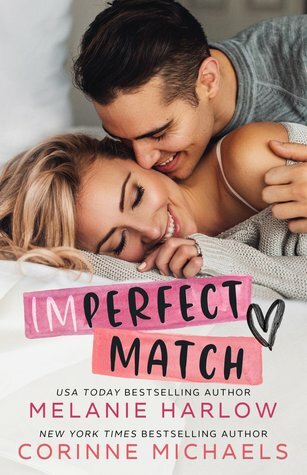 Jensen and Emery definitely dealt with many ups and downs in their relationship, and I’ll be honest that I was slightly annoyed with all of the little conflicts that seemed to arise in this novel. I really liked Jensen and Emery, but they did frustrate me every now and then. Despite all of that, I really liked the storyline and was highly entertained throughout. There were plenty of surprises that kept me on the edge of my seat, and I was certainly never bored. I really did enjoy reading Jensen and Emery’s story and was happy with the conclusion. The Wright Brother wasn’t quite what I was expecting it to be, but I thoroughly enjoyed it nonetheless, and I am very excited to read more about all of the Wright siblings in the books to come, starting with Landon’s story in The Wright Boss! FOUR “What’s Wright is Right” STARS! Thank you so much! Have you read The Wright Brother yet? Did you like it?